The KONG Dodo is your dog's new favourite toy! 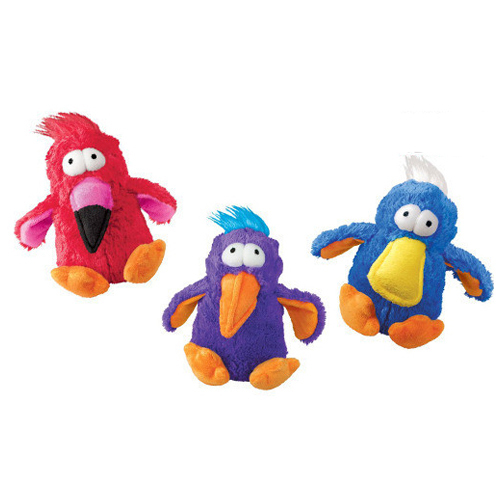 The KONG Dodos do not have one tiny squeaker, but two squeaker balls for maximal squeaking fun! KONG Dodo is a cute toy bird for your dog. The KONG Dodos are brightly-coloured and very tough. There is not one small squeaker in these toys, but there are two squeaker balls for maximal squeaking fun! The KONG Dodos are not made for extended periods of chewing. Please Note: This product ships in assorted colours. It is not possible to choose a colour. Have you used KONG Dodo before? Let us know what you think about this product.